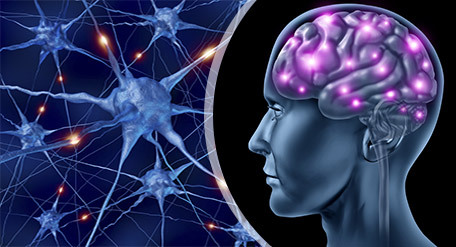 Neurotransmitters are chemicals naturally produced in the body that make possible the communication between nerve cells in the brain and between nerve cells and the body. They consist of acetylcholine, that manages muscle contractions and prompts glands to secrete hormones. Loss of cells that regulate acetylcholine are associated with Alzheimer's disease. Other chemicals are Gamma-aminobutyric acid (GABA), that help control muscle activity and plays a significant part in the visual system. Serotonin, tightens blood vessels and makes a person sleep. And dopamine, that is involved in mood and control of difficult movements.